From the awe-inspiring sight of Hogwarts castle dusted with snow, to the teenage angst of the Yule Ball, and of course, the sumptuous Hogwarts Christmas feast complete with ‘a hundred fat, roast turkeys’ and explosive Wizard Crackers. Who could forget when the previously unloved and neglected Harry received his first personalised Weasley jumper as a gift? As well as when the Weasley twins bewitched snowballs to bounce off Professor Quirrell’s turban, little knowing they were chucking snow at the face of Lord Voldermort? But enough about me being a massive nerd. 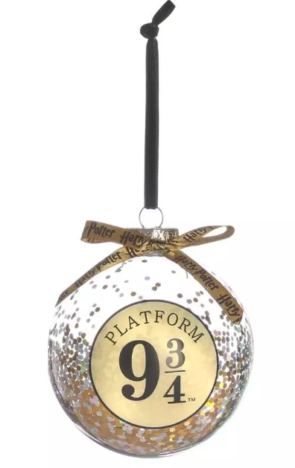 It won’t be long until we’re all transforming our respective living rooms into our very own Great Halls; made complete, of course, with a Christmas tree. And gorgeous decorations are a must. Luckily, for those of us who enjoy Yule ball glamour without spilling the sickles, Primark is absolutely on point this year. 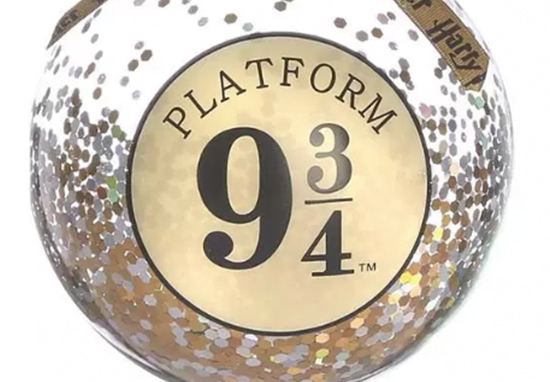 A pack of four Hogwarts house baubles will set you back £4. 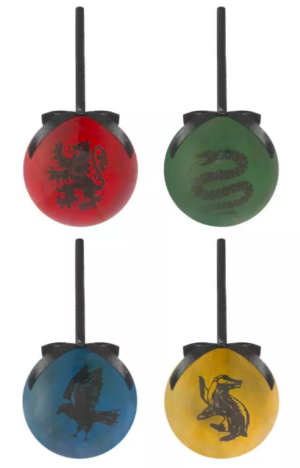 Each bauble bears a different animal to represent each Harry Potter house, and come in the house colours of blue, yellow, red and green. Just one more reason to start getting pumped for the upcoming festive season. 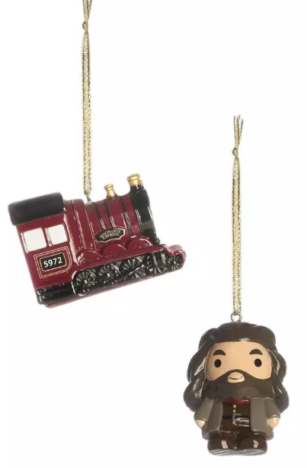 I’ll certainly be Wingardium Leviosa-ing some of these into my shopping cart!